"I am delighted that the Institute recognises the centrality of computational methods to help meet the challenges of environmental change, food security and sustainable development. 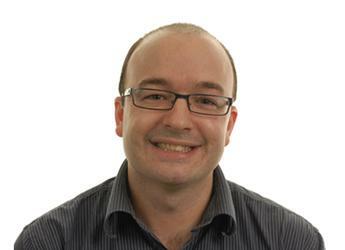 Risk modeller Dr Rupert Hough has been appointed to the leadership of the Information and Computational Sciences group at the James Hutton Institute, following the semi-retirement of Dr David Marshall. The James Hutton Institute's Information and Computational Sciences group brings together an exceptional combination of scientific skills and expertise, ranging from genome-scale bioinformatics to landscape-scale geoinformatics. The breadth of skills and resources in ICS provides the Institute with a unique capacity to rise to the challenges that come from the latest data generation technologies that are revolutionising genome and diversity analysis, earth observation and global information systems. Dr Hough’s expertise focuses on risk and exposure modelling. His work has primarily been concerned with modelling exposure to potentially hazardous agents in the food chain and associated risks to health, and he has led a number of large consortia investigating specific environmental health issues. Following his appointment, Dr Hough said: “I am really pleased to be given this opportunity to continue to represent the ICS team. Computational approaches are vital to the handling, visualisation and analysis of scientific data and information that are constantly increasing in both size and complexity. Dr Rupert Hough obtained his PhD in environmental modelling from the University of Nottingham and subsequently lectured in exposure modelling at the London School of Hygiene & Tropical Medicine. He later joined Cranfield University's Integrated Waste Management Centre on a prestigious Academic Fellow award and joined the Macaulay Land Research Institute - a precursor of the James Hutton Institute - in 2006 as a Principal Investigator and project manager.